Ball Park Music is a six-piece indie rock/pop band from Brisbane, Australia, made up of frontman Sam Cromack (guitar/vocals), Jennifer Boyce (bass, backing vocals), Paul Furness (keys, trombone), Brock Smith (guitar) and twins Dean Hanson (guitar, bass, backing vocals) and Daniel Hanson (drums,backing vocals). "Ball Park Music" was originally the name given to Sam Cromack's solo work. In 2008, he moved from Lennox Head to Brisbane and met twins Dean and Daniel Hanson who were then a rhythm section looking for a singer/songwriter/guitarist. 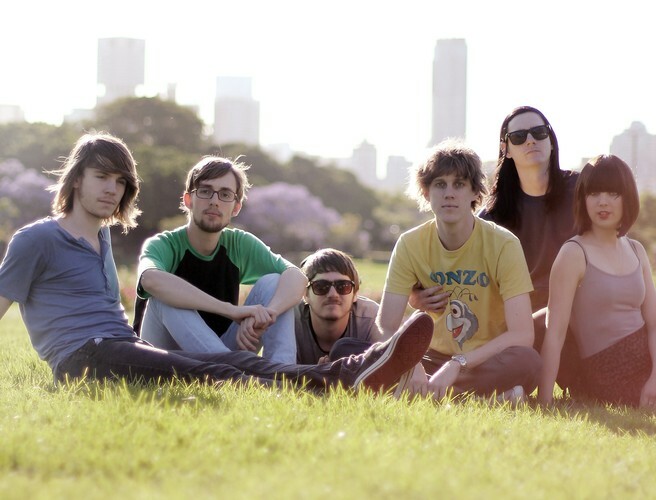 The three were soon introduced to Brock Smith, Paul Furness and Jennifer Boyce as a university group and they soon began playing shows around Brisbane like The Zoo and The Red Room.